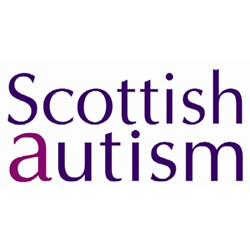 Scottish autism seeks to promote and provide care, education, support and opportunities for individuals with autism of all ages throughout Scotland. We are currently looking for people with lived experience of autism to strengthen and support our existing board and management team, in realising our charitable objectives and strategic priorities. We will provide tailored training and development and you will also work alongside a number of experienced Board Members who can share learning and experience. Minimum commitment is attendance at 8-12 meetings per year. This is an unpaid position. Trustees will be paid all reasonable expenses. Scottish Autism is an organisation dedicated to enriching the lives of people with autism. With a head office in Alloa and over 900 staff working across Scotland, we offer a large range of services for people with autism including education, day and vocational opportunities, supported living, outreach, respite and specialist transition support. Although experience is not a necessity, the ability to join the PVG scheme, or undergo a PVG scheme update is a condition for employment with Scottish Autism. For the Haddington service it is essential you are a driver with a full clean licence. For other services it would be preferable if you are a driver, although this is not a necessity for all roles.